Earth Rider - About Earth Rider. Your browser does not support HTML5. Please upgrade to a modern web browser. The main objective of the Earth Rider project is to provide educators, students and the general public an extensive resource of inspirational and enquiry materials based learning and tools that educate and enhance knowledge about space activities and awareness. The Earth Rider resources will enhance learning uptake in Science, Technology, Engineering, Arts and Mathematics core subjects (STEAM) and will link directly to regional curricula. New access to space data and real life space expertise. Online space education mentorship for STEM (Science Technology Engineering and Maths) and the move to STEAM “A” for Arts and Creativity within the curriculum. Self generated content becomes available. Access to the “Overview Effect” as experienced by astronauts and cosmonauts through immersive technologies.  Active participatory online platform for space awareness. High quality digital media productions and cross platform space content distribution. Innovations in online services and immersive technologies. This theme is the starting point and acts as a vehicle to integrate diverse materials on all aspects of Earth Rider and human space flight. The Overview Effect is summarised by Frank White as: ‘A cognitive shift in awareness reported by astronauts and cosmonauts during spaceflight. The conflicts that divide us become less important and the need to create a planetary society with the united effort to protect this “pale blue dot” becomes both obvious and imperative.’ The environment features prominently, as many astronauts and cosmonauts return to earth with a new appreciation of ecology, earth systems science and the fragility of our planet. Overview areas of outreach include our internet portal: Educational materials for STEAM (lesson plans, consolidated resources, videos, whiteboard, participatory and enquiry based learning events and mentorship). A portfolio of Overview Apps that shares user generated content. 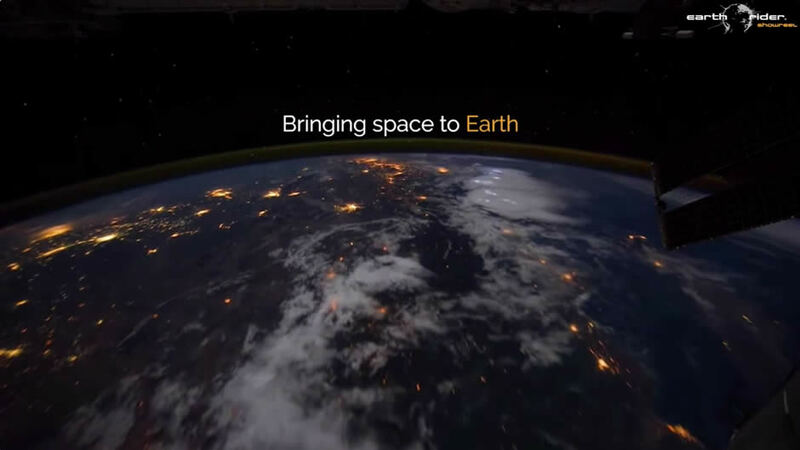 Building a community and engaging users with the 'Earth in space'. Ideas include using astronaut and cosmonaut narratives from ISS, the importance of international co-operation for co-operative and global problem solving, environmental awareness for behaviour change through promoting 'Overview thinking' and companion products and services to existing publications ‘bringing space to earth’. The ICARUS Initiative, a research endeavour that transcends disciplines and continents, will close this knowledge gap by globally monitoring the local, regional and global movement patterns of tagged animals via an in-orbit communication node on the International Space Station (ISS). ICARUS area of outreach internet portal: Educational materials STEAM (lesson plans, consolidated resources, videos, whiteboard and the development of citizen science and animal ‘wearables”’). Biocaching app. A citizen science mobile (+web) app that enables crowd sourcing of animal migration and location information. Live animal tracking through the outreach portal and via apps. A means of tracking individual animals near real time that may utilize new forms of data visualisation and sensor technologies for environmental and biological monitoring. The International Space Station offers a unique view of Earth and snapping photographs is a favourite pastime of many astronauts. Images sent back from space are not only inspiring and beautiful, but can also be used for scientific and educational purposes. A new type of photographic stabilization device, developed by ESA, allows stunning night-time images of the Earth to be photographed aboard the International Space Station. Nightpod area of outreach internet portal: Educational materials STEAM (lesson plans, consolidated resources, videos, whiteboard and citizen science developments for clear sky astronomy and atmospheric physics). The Earth at night. An app (+web) of the collated collection of the images from Nightpod. Data visualization is the graphical display of abstract information for two purposes: sense-making (also called data analysis) and communication. Important stories live in our data, and data visualization is a powerful means to discover and understand these stories, and then to present them to others. Data visualisation areas of outreach include internet portal: Educational materials STEAM (lesson plans, consolidated resources, videos, whiteboard and citizen science). GIS data visualisation engine. A web based GIS (geographical information system) making GIS data visualisation fast and easy. Data visualisation engines. Apps (+web) easy to use and UI/UX focused ways of displaying users data to convey meaning or create beauty through meaningful and experiential interpretations of science data using creativity.